Earn 380 Cute Points upon purchasing this product. A unique design of a handmade copper heart necklace. 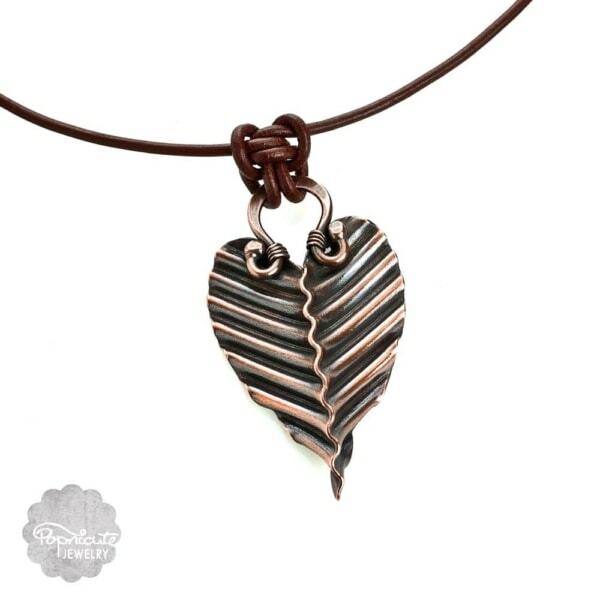 This design was inspired by a tropical plant called Elephant Ear, also known by their other names: Heart of Jesus and Angel Wings. This design is a new addition to my Corrugated collection. They are so darling and you’ll surely get noticed wearing them. Bold and beautiful it drapes so nicely on your neckline. Wear it long or short, it’s your choice. With its adjustable necklace, it’s so easy to fit your outfit of the day any length you want up to 32″. A design so unique to accompany your daily activities 🙂 Dress it up or down, be prepared to dazzle! 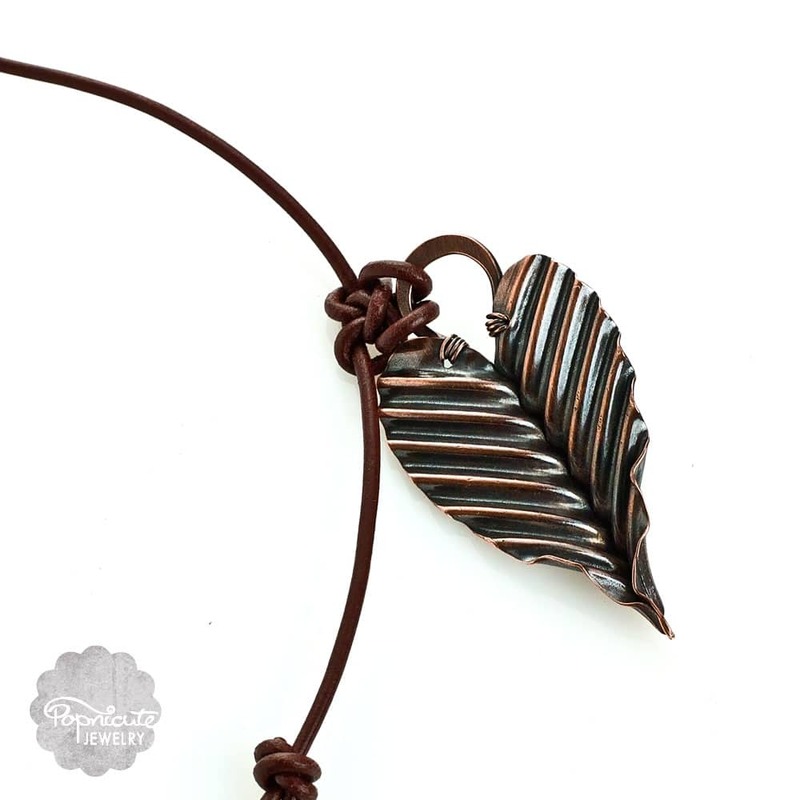 LENGTH: Pendant is 2 inches (50 mm) long including the bail. 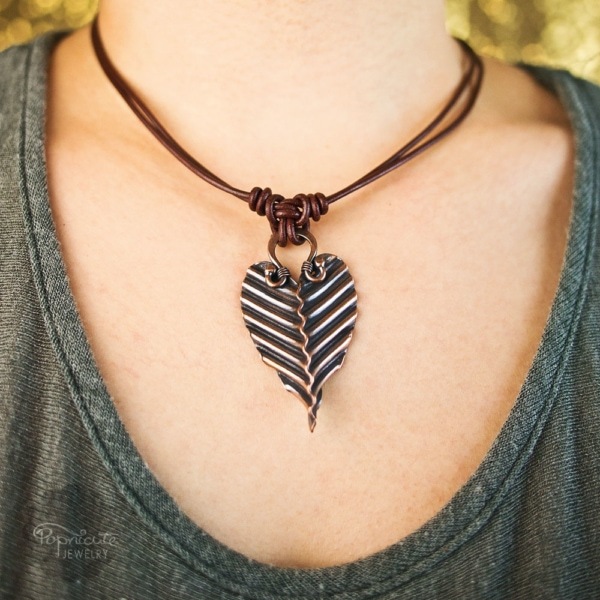 NECKLACE: approximately 16 – 32 inches long. A matching pair of earrings is available. 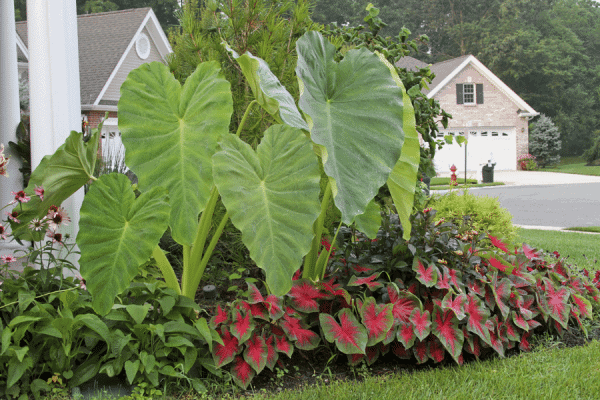 Back in Indonesia, my grandma had the small version of the Elephant Ear, the one that’s pink in the middle with the green trim, called Keladi in Bahasa, that she planted on the white planter on our front porch. As I recall it was quite an easy plant to grow and was beautiful. * Each one is unique due to its handmade nature. Wanted you to know that Angelic, Spy, and myself LOVE. LOVE. LOVE the pendant. Also, want you to know I couldn’t be happier with the ring. 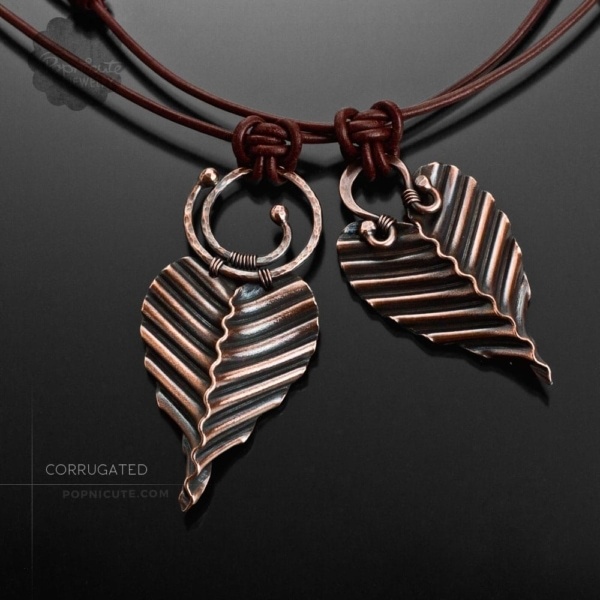 The Corrugated collection brings you oxymoronic jewelry designs by marrying simple, repetitive lines to organic shapes. The results are, with surety, unique and three-dimensional. Beautifully textured and lightweight, what could you ask for more? 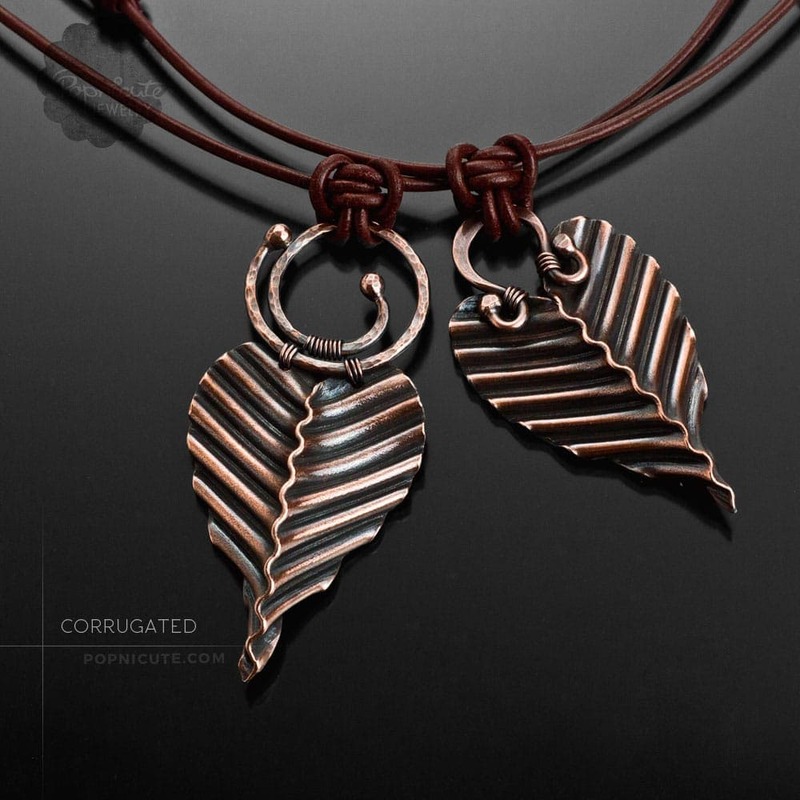 The simple style is perfect for everyday jewelry.